Roger Federer continues to amaze. 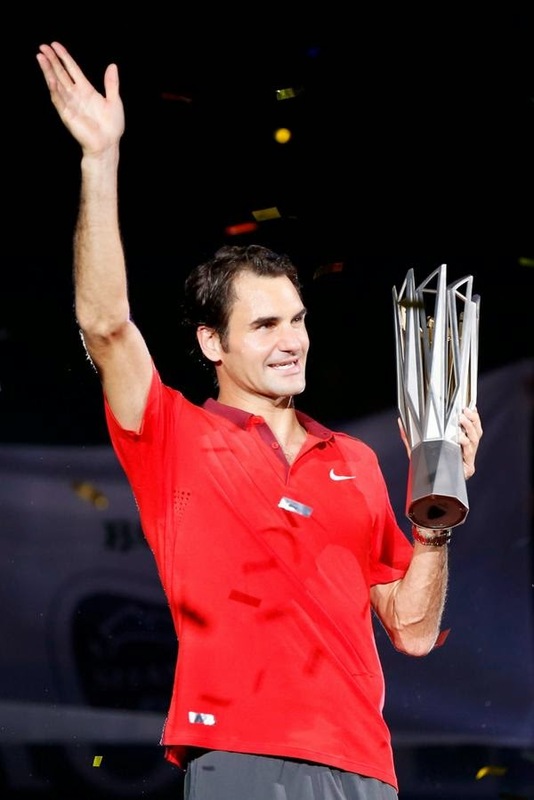 At 33 years old he just won his second Masters 1000 title in a row, adding a trophy he has never won before, and beating world #1 Novak Djokovic in the process With his 4th title of the year in 9 finals, with the most wins of anyone on the tour this season, those calling for his retirement have been shut down as he proves himself over and over again. It was a hard fought battle in the final. Unlike the match against Djokovic in the semifinal in which everything seemed to be working, a practically perfect match played by Roger in Novak's eyes, the match against Simon for the trophy was one of grit and determination, fighting through when things weren't going his way. Starting the match by getting broken was certainly less than ideal, and then seeming to find no way to get into Simon's service games made for a frustrating first set, really just getting a bit lucky that Simon got tight trying to serve for the set. Somehow, somehow, though, he managed to find a way to hang in there and take the tiebreak. I really thought getting the first set under his belt was going to give him confidence to be able to close out the match in easier fashion, especially with Simon needing a medical timeout before the 2nd set started. 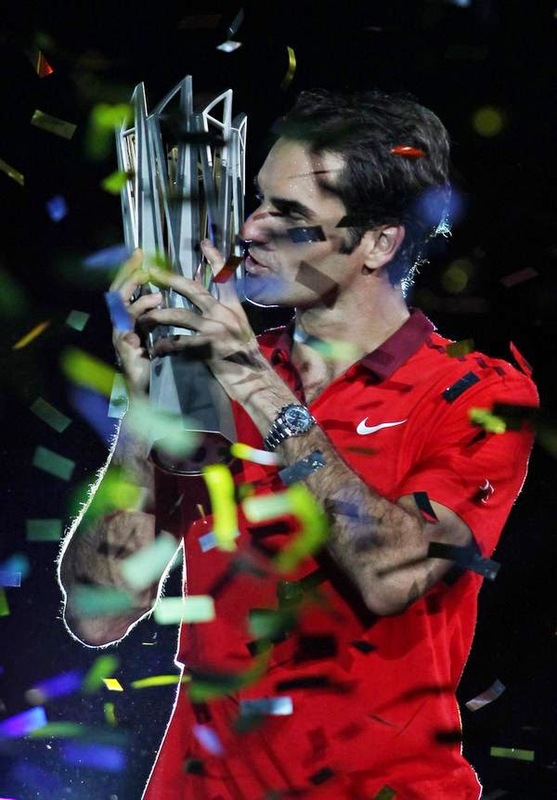 Although Roger had his chances to break, though, he just couldn't find a way to get it done. And much credit to Simon who kept hanging in there. Thankfully Roger was able to save break points and close it out in a second tiebreak. Really this match didn't seem like the final to me - the semifinal against Djokovic was the match he totally shined in, playing the kind of tennis his fans absolutely love, with brilliant winners and not many errors. He has been showing once again what a healthy Roger Federer can do, in spite of the criticism from the media, and supposed fans even, as he fought through injury last year. I just can't say enough how impressive it is that someone who was supposedly finished, according to many, who was just too old to be relevant anymore in today's game, and who was going to ruin his legacy, at 33 (and with four kids, no less) has ignored all that, has continued to work hard, push through, and has already won four titles this year, again, with the most wins of anyone on tour. I am just so impressed, in awe really, at what this man can do. He now has a week off before one of his special tournaments, Basel, then we'll see what he decides to do about Paris before the World Tour Finals and Davis Cup. There's even a potential he could end the year as World #1, though he would have to have an incredible finish to do so. With the way he's been performing, though, I'm certainly not going to put it past him!